Pools Have Earned Our Reputation For Over 33 Years! Thank you for considering Gattuso Pool Corporation for your pool/spa construction project. The benefits of pool ownership will bring health and recreation to the entire family, not to mention a beautiful change to your backyard and increased value to your home. For most people, purchasing a pool is the second largest investment they will ever make and is certainly not a decision to take lightly. The Swimming Pool Contractor that you choose is so very important. We encourage everyone of our potential clients to research their contractor throughly before making a choice and have peace of mind start to finish. Founded over 21 years ago and in the same location, Gattuso Pool Corporation has earned their reputation for honesty and a beautifully customized swimming pool. 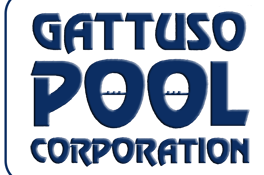 All of us at Gattuso Pool Corporation are ready to answer all of your questions. Contact us for a personal consultation today.